Sydney: My Beautiful City | Life. Crazy. Beautiful. At 5pm tonight in North Sydney, a storm was brewing. Thunder was roaring, lightening was flashing across the sky – people were madly running for shelter, umbrellas blowing inside out in the chaos. I wasn’t sure this was a good night to be going for a walk. Yet, less than two hours later, I was at Observatory Hill with my walking crew, my pack on my back, ready to head out. Sydney, you are amazing. Freshly washed from your dramatic shower, you sparkled tonight. 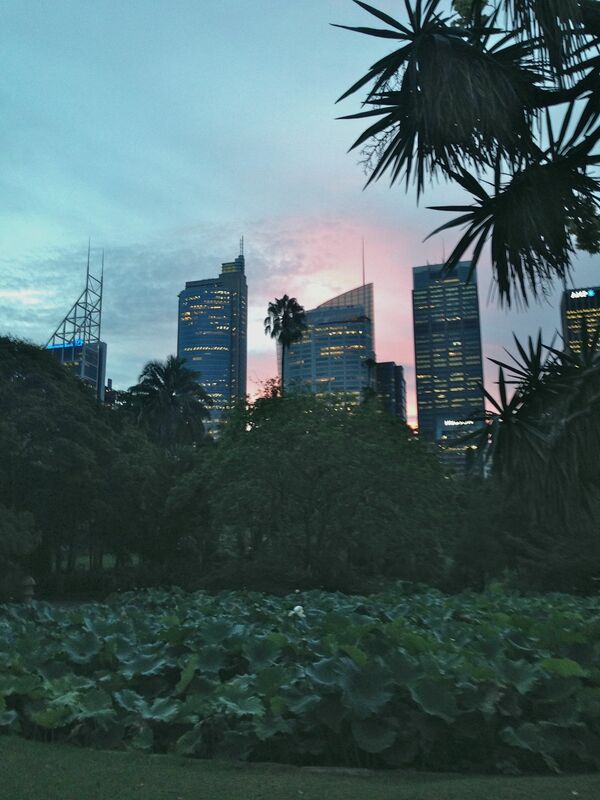 I have lived in Sydney all my life, and tonight I walked through parts of the Botanic Gardens I had never seen before. Lilies in bloom. Sun setting behind the city scape. It was stunning. Round to Woolloomooloo we wandered, the sound of happy diners drifting to us, across the lights sparkling on the water. 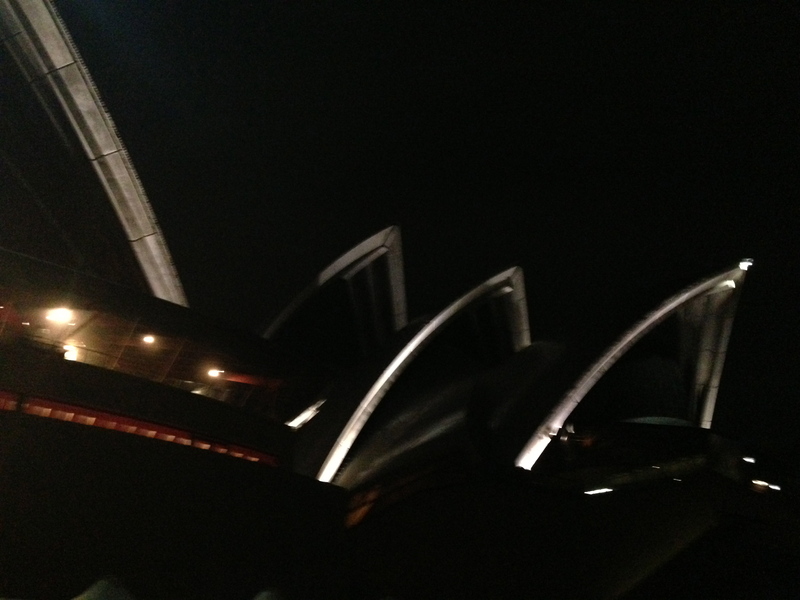 Then back through the gardens, round past the Opera House – so majestic. 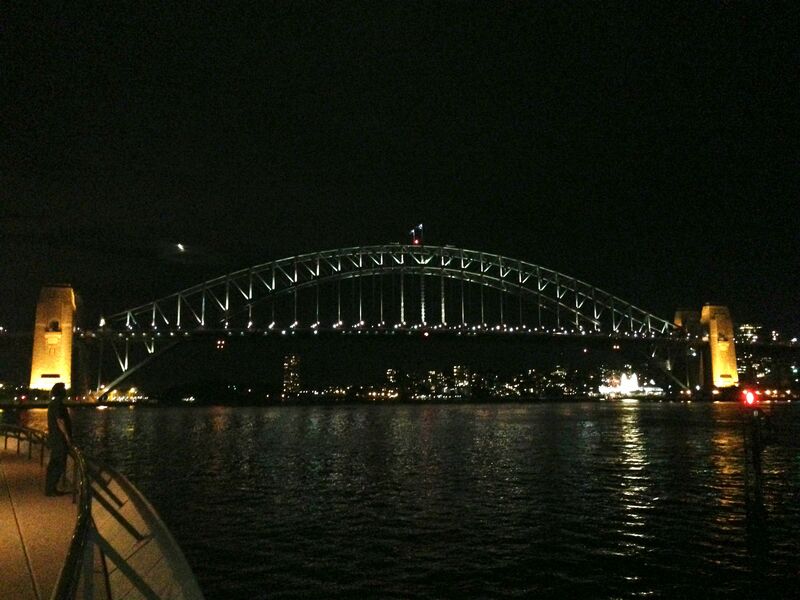 Sydney, l love you. One minute you are a drama queen of lightening and thunder – the next you throw on your evening gown, and you are elegance itself. 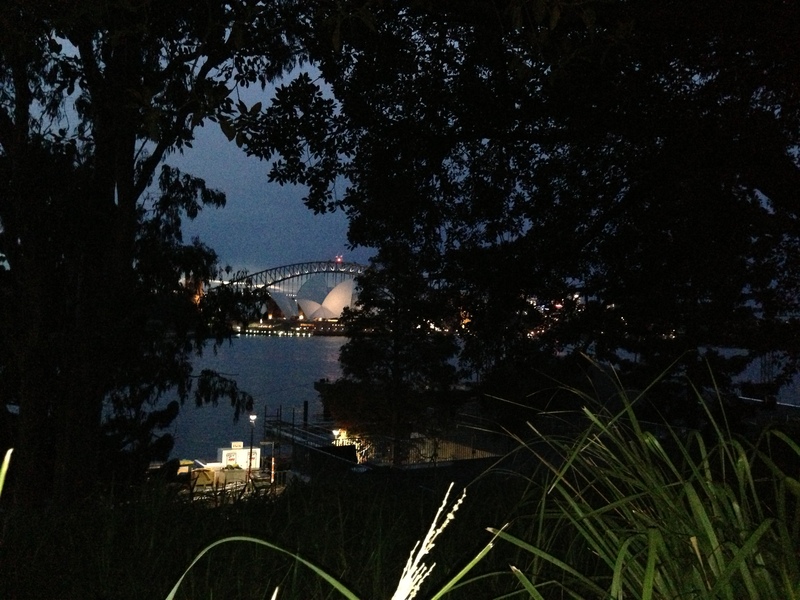 This entry was posted in Uncategorized and tagged beautiful, hiking, Sydney, walking by Nimmity. Bookmark the permalink.